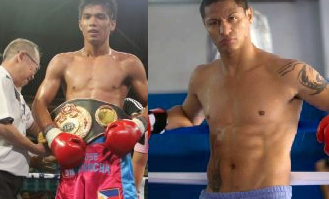 Undefeated hard hitting Filipino boxer is set to face the top Russian boxer Rustam Nugaev on December 17, 2016 for the vacant WBC Asian Boxing Council Silver lightweight title at Ekaterinburg Expo, Ekaterinburg, Russia in the undercard of the interim WBC World heavyweight title fight between Alexander Povetkin vs Bermane Stiverne. Ardie Bayose is a hard hitting boxer dropped 14 of his last 17 opponents, never been defeated boxer, born in San Remigio, Cebu, Philippines. Bayose will fought for the first time outside the Philippines and probably this would be the biggest fight in his career. Meanwhile his opponent Rustam Nugaev, is coming off a TKO defeat against Denis Shafikov in 2014 for the IBF title eliminator fight. He has a record of (27W-7L, 17KO). 34 years old boxer and defeated some caliber boxers including Marvin Quintero, Jonathan Maicelo and Jose Antonio Izquierdo. He once fought some Filipino including Dennis Laurente but loses via UD decision in 2006.